Claudette L. Faucher, 82, of Port St. Lucie, Fla., formerly of Kensington, Conn., passed away peacefully Saturday, April 6, 2019, at home with her family by her side. Claudette was born in New Britain, Conn., on Oct. 6, 1936, and was the daughter of the late Joseph and Albertine (Ouellette) Gervais. She was a loving wife, mother, grandmother, sister, aunt, and friend. Claudette loved a great round of golf and getting a good card game going and spending time at the beach entertaining and cooking for family and friends. Her husband, Valmore, was proprietor of Val’s Hair Styling and the Connecticut Hair and Transplant Group. Claudette and Val shaped their lives with their family for the past 60 years of their marriage. She was a very special person and will be dearly missed by all who knew her. 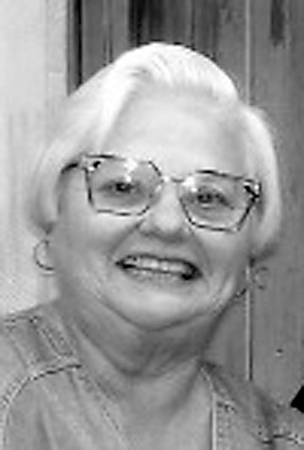 Claudette leaves to mourn her passing, her husband, Valmore Faucher, her five sons, Jeffrey Faucher and his partner, Leslie Jones of Vero Beach, Fla., Brian Faucher and his wife, Sherri of Westbrook, Conn., Cary Faucher of Middletown, Conn., Gregory Faucher of Vero Beach, Fla., and Dean and his wife, Sarah of Centerbrook, Conn. She also leaves nine grandchildren, two great-grandchildren, her four sisters, Kathleen Sales of New Britain, Conn., Joyce Stanton of Simsbury, Conn., Helen Evans of Farmington, Conn., and Frances Culver and her husband, Paul of Kensington, Conn., as well as several loving nieces and nephews. She also leaves her caretaker, Ruth Medina whom she loved dearly. Claudette was predeceased by her son, Craig Faucher, her sister, Anita Murray, and her four brothers, Norman, Ralph, Donald, and Bernard Gervais. Funeral rites for Claudette will be held Wednesday, April 17, 2019, with the procession departing at 10:30 a.m. from the Paul A. Shaker Funeral Home, 764 Farmington Ave., New Britain, Conn., followed by a Liturgy of Christian Burial at 11:30 a.m. at St. Paul Church, 485 Alling St., Berlin, Conn. Committal service and final resting place will be in St. Mary Cemetery, Beach Park Road, Clinton, Conn. Relatives and friends may call at the Paul A. Shaker Funeral Home, Wednesday, from 9 to 10:30 a.m. Directions to the funeral home – I-84 east or west, exit 37 (Fienemann Rd) right off exit – one mile down on right. In lieu of flowers, memorial donations may be made to the American Cancer Society, 538 Preston Ave. #1, Meriden, CT 06450. To extend condolences to the Faucher family or to share a memory of Claudette, please visit SHAKERFUNERAL HOME.COM. Posted in New Britain Herald, on Friday, 12 April 2019 18:32. Updated: Friday, 12 April 2019 18:34.